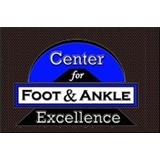 Center for Foot and Ankle Excellence (Philadelphia) - Book Appointment Online! He was great! Very friendly and knowledgeable about his diagnosis.